The Africa Korps Panzerkampfwagen T-shirt is a single sided print in green. 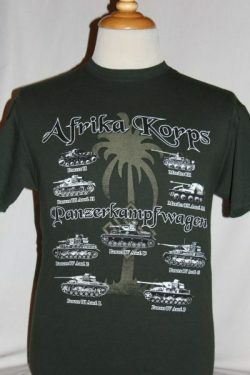 Front Design: WWII German Panzer Tanks, Panzer I through Panzer IV with Marder vehicles screened on the front with Africa Korps Palm tree in the background. 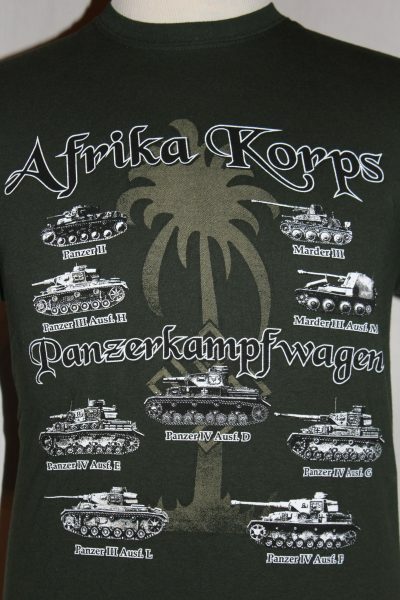 World War II Germany Army Panzertruppen's.